Laundering microfiber mops: Is it a good idea in cleanroom environments? The properties that make a microfiber product a good cleaning tool also make it nearly impossible to clean, according to an article on the Cleanroom Technology website. 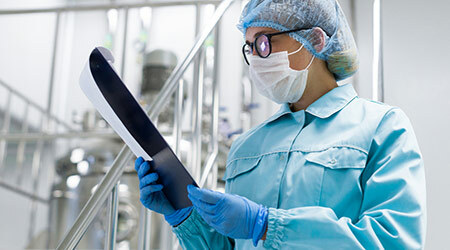 Best practice for both wipes and mops in a cleanroom environment is to use single-use disposable products because they reduce the risk of cross-contamination and ensures that contaminants are removed from the production space. However, more facilities are laundering and re-using mops as a potential cost-saving and more environmental alternative. This creates complications, as most reusable cleanroom mops are manufactured from microfiber yarns. The cost savings — both environmental and budgetary — must be balanced with the question of whether the reuse of microfiber mops can lead to contamination. Also, though their absorbency and ability to pick up and keep small particles has led to the increased use of microfiber mops in clean production environments they are less durable than standard filaments and create much higher levels of fine particle contamination. Because of this, microfiber needs to be laundered even before it is used. Coupled with the cost of the microfibre yarn itself, this means most cleanroom microfiber mops are too costly for single use. They need to be laundered, resterilized and re-used to be cost-effective. Relaundering and resterilizing come with risk, however. Laundering can cause irreversible damage to the microfiber structure. Researchers at Contec explored this issue in a white paper "Clinical Advantages of Disposable Microfibre Mops." Their study compared hospital relaundered microfiber mops with a disposable microfiber product. The study found that the laundry process can be ineffective in removing trapped residues of the disinfectant or detergent solution. The retention of organic particulates and residues in laundered mops can cause issues when the mops are returned into use.